What if the world is hit with an epidemic of insomnia? 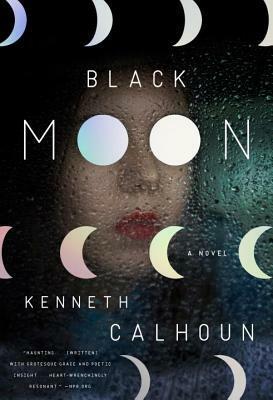 That is the premise of Black Moon, Calhoun’s debut novel. Often called hallucinogenic by other reviewers, this book is an engaging book about the end of the world as we know it. Biggs doesn’t know why, but he can still sleep, even though everyone around him is in the grasp of insomnia. Then one day he can no longer find his wife. Biggs and a cast of other characters try to find their way as society crumbles. 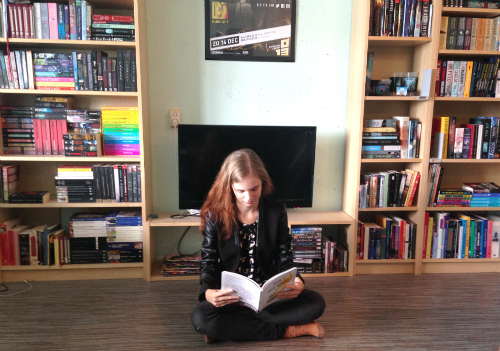 Sometimes reading other reviews can influence your thoughts on a book, and with Black Moon I’m glad I went in blind. The book has an absolutely atrocious average rating on Goodreads. A rating I wasn’t expecting at all, making me wonder whether we all read the same book – because the one I read was a solid apocalyptic science-fiction novel. What might put some people off is that Black Moon isn’t always an easy read. The plot isn’t completely linear, there are multiple characters to keep track of, and the sleep-deprived points of view sometimes take a turn towards the bizarre. However, I would by no means call this book unnecessarily convoluted or complex. It doesn’t take the reader by the hand, but the main story is never far off either, and there are no chances of getting lost. In a way Black Moon reminded me of World War Z – how it should have been. The comparison by the insomniacs and zombies isn’t far off, and the emphasis on the crumbling of society is similar. Our heroes go through some pretty big peril before a sort of balance is restored, and like in World War Z, not all characters are sympathetic. I really held my heart at some instances, not wanting my favourites to meet a terrible fate. Black Moon combines solid writing with a true and tried concept of an apocalyptic scenario. Though it doesn’t give many answers of the why and how, it’s an adventure novel that hits the spot.